Lavender is native to areas around the Mediterranean, Africa, India and parts of Asia, but it is grown worldwide for its luscious fragrance and lovely flowers. While lavender does best in hot, dry climates, many varieties do well in less favorable lavender conditions. Lavender can be easily grown for many uses, from harvesting the flowers for tea or potpourri to adding a splash of color and fragrance to your home garden. Plan to plant your lavender in the spring. Choose a variety of lavender that suits your climate and growing conditions. Spanish and French lavenders are hardy to zones 8 through 10 and grow well in very hot conditions. English lavenders are hardy to zone 5, so they do much better in cold weather. Choose a spot in your yard to plant the lavender. 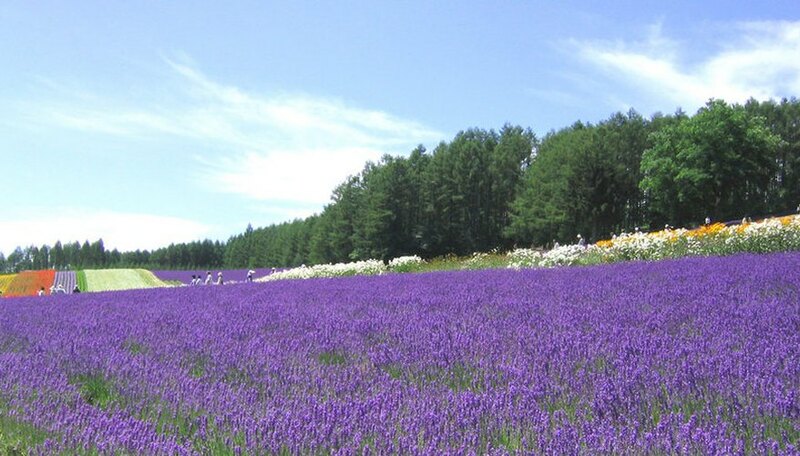 Lavender likes full sun and well-drained soil. Dig a hole for your lavender about 6 to 8 inches deep with a 6-inch diameter. Be sure to buy a lavender plant, as growing lavender from seed is very difficult. Leave plenty of room in the hole for the lavender's roots, which will be bigger than the plant itself. Place the lavender in the hole with a little bit of compost or manure and cover lightly with soil. Add a little sand to your soil if it is too thick. Water your lavender two to three times a week while it is young for 5 minutes each watering. Once it is more than a year old, water it for 5 minutes each watering only once a week or once every two weeks, depending on the weather. Trim back the lavender every spring. If it is tall lavender, trim it down by about one-third. If it is shrub lavender, prune it into a rounded or square shape while letting the flower wands stick out of the top. Lavender is drought resistant and does well in desert conditions. Space your lavender at least 1 foot from other lavender or other plants. Air circulation is important for maintaining lavender health. Don't prune your lavender if it had a lot of dieback during the winter. Pruning it may kill it. Keep the soil around your lavender well drained or you risk it getting root rot.